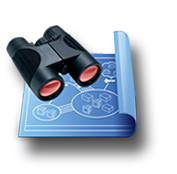 Path Analyzer Pro delivers advanced network route-tracing with performance tests, DNS, whois, and network resolution to investigate network issues. 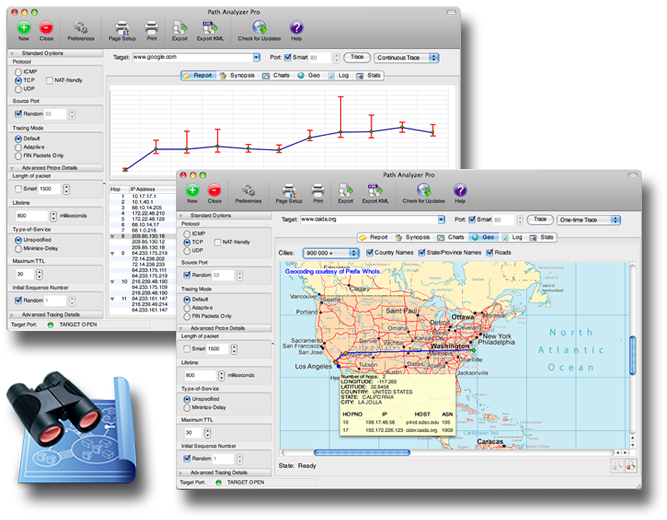 By integrating all these powerful features into one simple graphical interface, Path Analyzer Pro has become a must-have tool for any network, systems, or security professional on Windows and Mac OS X. And the features go on and on! 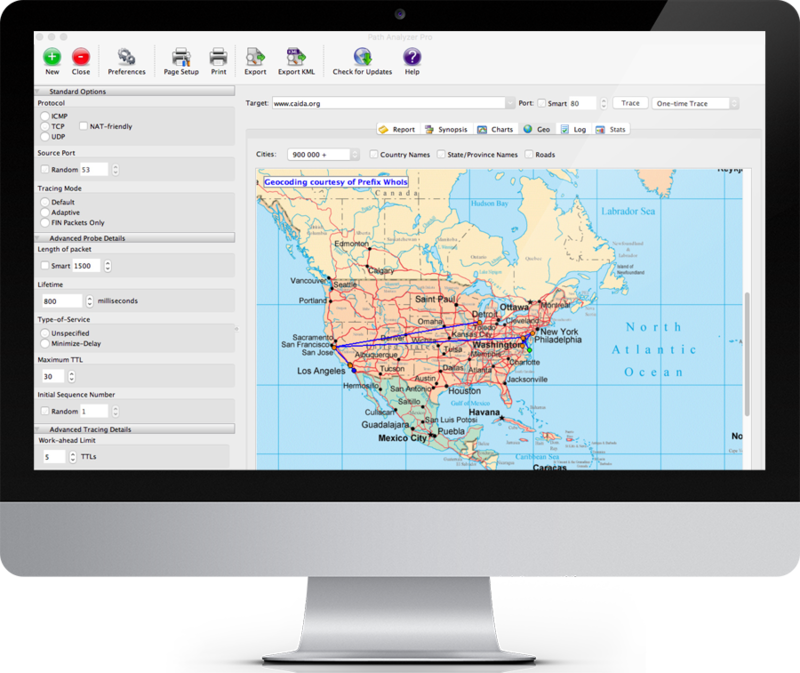 Unlike other graphical trace-route software, Path Analyzer Pro summarizes a given trace within seconds by generating a simple report with all the important information on the target--we call this the Synopsis. Using this powerful feature, an IT professional can quickly find the all the relevant background information on his or her target, be it an IP address, hostname, e-mail address, or even any kind of URL. The Synopsis feature means no more looking up data from five or ten whois servers, registrars, routers, and other sources and then correlating to get the summary information you want. Instant results mean instant gratification. The Synopsis is just one of the features that put Path Analyzer Pro in a league of its own compared to other network tools by making it more than traceroute.